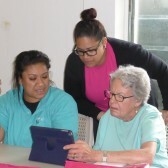 Six months ago Telstra started on a journey with Jubilee Community Care’s clients to help them understand and use tablets. “I knew nothing at the start”, stated Gloria but Telstra’s volunteers worked with her to change this. We’re living in a digital age but many older Australians are being left behind and lack the skills to take advantage of being connected. 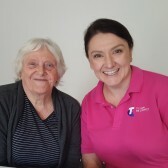 With almost half of older Australians not online, more than 2.3 million people, Telstra has partnered with Government to give older people the opportunity to develop skills and confidence to use technology. 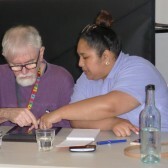 Over the last six months, Telstra volunteers have dedicated one on one sessions to our clients. 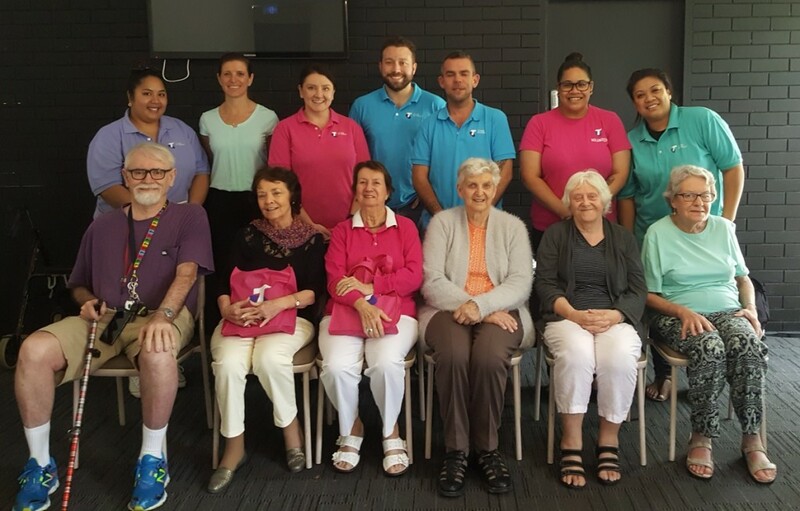 Every month, they met at the Toowong Bowls Club who donated a room for them to learn in and they met Telstra volunteers with all their questions. As their knowledge progressed, they would practice and bring more questions the next month. At every meeting the room would be buzzing with the thirst for knowledge and the thrill of learning something new and useful. 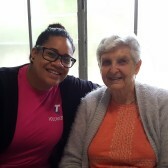 Our clients would huddle with their Telstra volunteer and learn as much as possible. So much so that morning tea would be ignored and our volunteers would need to take the pastries around to each table. If you know any of our community, you will know how rare this is! 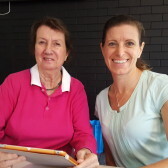 Small steps to tech savvy seniors, thank you Telstra!